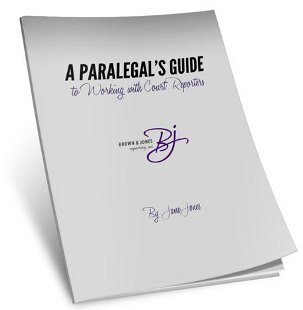 As a paralegal, you have a wide variety of responsibilities. One of those responsibilities may be to hire and schedule court reporters for depositions, hearings and other legal proceedings. When first asked to schedule a court reporter, new paralegals are often in the dark about how to make that happen. If this request has been made of you, we want to give you answers to the questions you are likely to have. What services do court reporters offer? How do I schedule a court reporter? What do I do if I need to schedule a court reporter in a different city? When will I get the transcript? Fill out the brief form to download this report.